And among the characteristics of the hypocrites is that they conceal the truth and are deceptive towards its people, and accuse them with their diseases. 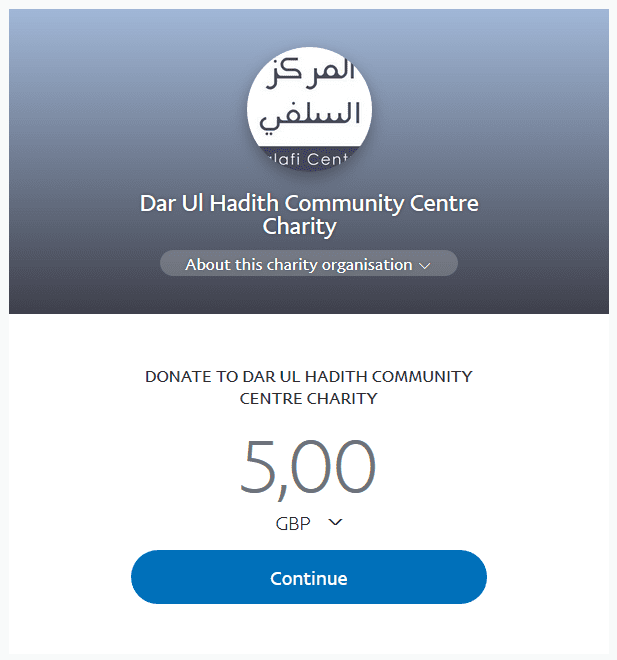 They accuse them when they enjoin good, forbid evil, and call to Allaah and His Messenger. That is because they (the hypocrites) are people of trials and are mischief makers in the earth. And Allaah has made known to His Messenger and the believers that they (the hypocrites) are mischief makers in the earth. And when the inheritors of the Messenger (sallal-laahu-alayhi-wasallam) call them to the Book of Allaah and to the Sunnah of His Messenger, particularly to that which is unadulterated, they accuse them of innovation and misguidance. And when they see them being ones who abstain from the dunyah, having a fervent desire for the afterlife and traversing the path of obedience to Allaah and His Messenger, they accuse them of falsehood and deception. And when they see them with the truth, they mix it with falsehood and give that out to those of weak intellect-turning it into something repugnant in order to make them flee from it. 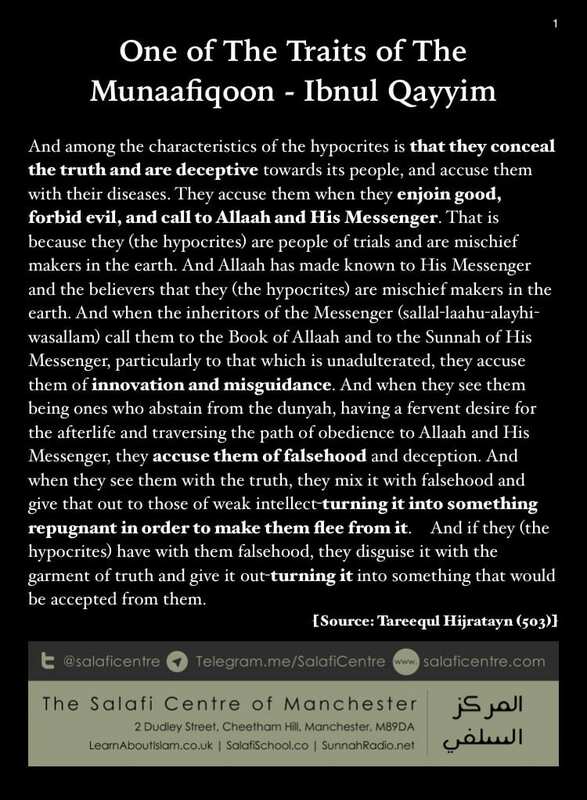 And if they (the hypocrites) have with them falsehood, they disguise it with the garment of truth and give it out-turning it into something that would be accepted from them.